After less than a year, Collectable Playing Cards have launched many different decks with their own seal. Eight of them have been through Kickstarter and this is the ninth one: Bicycle Starlight. Following their previous designs trend, this is quite different to any other deck previously produced by CPC. 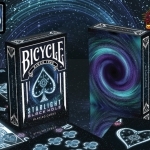 Inspired in the deeper universe, the cards remind green glowing stars over a black sky background with a complete set of custom pips, aces and jokers. The back is, nevertheless, a galactic color explosion, perfect for awesome fans. 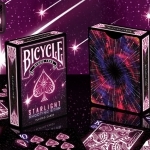 The deck will be printed by the USPCC under Bicycle brand and with a custom seal. 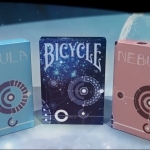 Backers can also take advantage of their pledge to get in advance other Bicycle limited decks not released through Kickstarter that will be available after the campaign such as Pyromaniac Fire and Ice and Thorn. 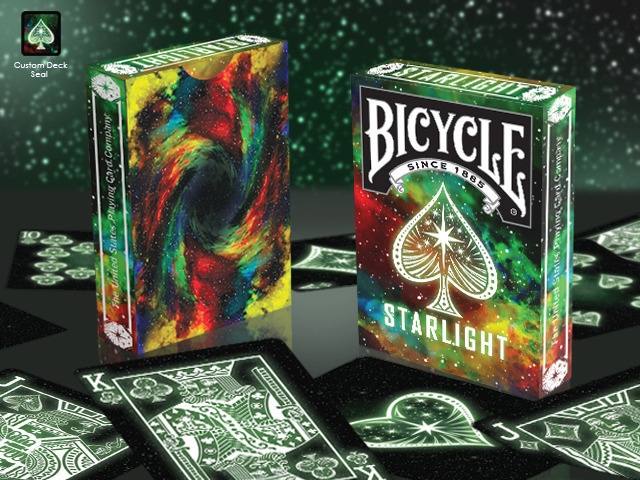 The project is already funded so if you want these decks, go to the project website and raise your pledge.